Skip to the forex no deposit bonus 2019 listing. Is Forex No-Deposit Bonus A Welcome Bonus? What Can You Do With A Free Bonus No Deposit? But What About My Profits? So Which Brokers To Avoid? Are You Ever Going To Pay It Back? Understanding Forex No Deposit Bonus: What’s Next? Forex no deposit bonus is one of the most powerful leverage for newbie traders. The other useful leverages are forex contest such as forex live contest and forex demo contest. In this guide, you will find out exactly how can you utilize this type of forex bonus even in 2019. Are you thinking of investing in forex but holding back because of the high risks involved? We have chosen a great no deposit bonus for you. Just enter your email address and you will have the access to the bonus page. Please bear in mind that by providing your email address, you are also agreeing to receive our updates into your inbox. You can unsubscribe anytime you want. You can practically start forex trading without any initial investments. Because up to 10%* of active forex brokers offer no deposit bonus once you register with them. * Note: This percentage can only be verified once Forex Penguin is done with listing down all active forex brokers. They are the ultimate welcome package that brings a new trader online and encourages them to start trading. Most first timers are not willing to commit their money. Therefore, the broker will show them the ropes by putting some money into the new account through forex promotion. Of course, you do need to meet certain requirements to open an account with them. You should also verify your brokers’ reputation before you accept one. Naturally, the trader cannot withdraw the free money given to them. They can only use it for trading as per the requirements of the broker. In this guide, we will tell you everything that you need to know about forex no deposit bonuses. You will also learn where you can go to find out about the latest no deposit free bonus opportunities. Before we get into anything else, let’s make sure you understand what exactly forex no deposit bonus is. After all, even if you are getting a great deal, you are still putting some of your money on the line. So it always pays to do your research ahead of time – and to make sure that you know what you are getting yourself into. The forex no deposit bonus is so called because you are not required to make any deposit prior to receiving it. It is also given only once to welcome you onboard. In the past, it used to be fairly common for people to get forex trading free bonus. It was a smart way for brokers to incentivize their customers to place more trades with them in the future. Fortunately, the concept of a free bonus no deposit is still quite common. There are many reputable brokers still giving out no deposit bonuses, sometimes called a “welcome bonus”. Side note: Welcome bonus is a term that forex brokers use to describe a forex bonus. It can represent both deposit bonus and no deposit bonus. While you shouldn’t think of them as “free money” to play around with, they are a way for people who are new to the forex world to practice making trades. Usually, you start by giving your name and your email address (and in some cases, your phone number) to a broker. You will need to create an account with the broker, and the details they need will vary based on their individual requirements. Some might require some billing or passport proof of identity whereas some offer forex no deposit bonus without verification. Side note: It is better to get your account verified to eliminate any problems that might arise when you want to make withdrawals in the future. What happens once you have verified your personal information? You will get a free bonus in your account. In some cases, the forex no deposit bonus can be as high as $2,019. Now, let’s look at what taking advantage of forex no deposit bonus can do for you. Without having to put up any of your own money (though some brokers may require a small amount of deposit that you can get back), you can start to make trades. This way, you can learn the ropes of forex trading, and if you make a mistake, you won’t have to pay for that error yourself. And yes, you will be trading with actual money, not just fake, digital Monopoly money. So, what are you able to trade specifically? You will be pleased to learn that bonuses are a great way to practice trading on commodities, forex, and even cryptocurrencies. We know that this no deposit bonus sounds like a serious win for you as the trader, but a loss for the broker. However, you need to remember that their goal is to get people comfortable with the idea of forex trading. When you know that it’s not actually your own money that’s up for a loss, you’ll be much more likely to practice – and get hooked. Once you get the hang of it, you will be surprised by not just how lucrative, but also how fun trading forex can be. So far in this guide, we have only spoken about how forex no deposit bonuses will benefit you if you lose money. Of course, we also know you want to understand what happens if you actually make a profit! Will you be able to claim it? Or because it was never really your money in the first place, will it go right back to the broker? One of the best things about taking advantage of these opportunities is that you will actually be able to keep the profits that you make. Yes, by keeping, we mean you can withdraw the profit you have made. You can decide to use what you have earned to invest back into trading forex. Or, if you feel like you have caught a lucky break, but forex trading isn’t really for you? Don’t worry – you can withdraw and move on. If you are earning money from no deposit bonus forex account, it means you are good. You can now reinvest the profit you made from no deposit account into different types of forex trading accounts. You will be able to set your goals, as well as the amount of your initial deposit. There are accounts that allow you to start trading even if you put in as little as one dollar. There are accounts that have zero spread, as well as options that will allow you to get a precise look at your potential profit. As you continue to gain experience in trading, you can upgrade and play around with different kinds of accounts. In short – the sky is the limit! After analyzing and processing a couple of hundreds of no deposit bonus listings, we at Forex Penguin realize that claiming no deposit bonus and withdrawing its profit may not be the simplest thing to do. Every forex broker has its own terms and conditions. These regulations are there to protect the forex broker’s best interest as well as to prepare the traders to make a deposit and start trading. While only claiming no deposit bonus is a pretty straightforward process, you start to see limitations when you do trading with the no deposit bonus account. Whereas, the final step of withdrawing the profit can be a lot more difficult than you think. We have identified most of the roadblocks and limitations in claiming the bonus, trading with it and withdrawing the profit. In the near future, Forex Penguin will be creating a profitability scale (Penguin Meter) based on the difficulty level of the procedure of claiming bonus, trading condition, and withdrawing profit. Hate to miss it? You can subscribe to our mailing list to receive any future updates. We told you that claiming no deposit bonus is the easiest process – and it is not far from the truth. We have identified two ways of how forex brokers generally work. You would probably prefer the second model while most forex brokers are using the first model. The first model is beneficial to forex brokers because it works as a filter. Only serious traders will be verifying their identity. The second model is to encourage traders who do not want to go through the hassles of verification unless they have something to gain. Email verification is the simplest form of verification. All it takes is only to click on the link sent to your inbox. Phone verification is also easy. The forex broker will either send you a code via SMS or voice call. It can be done within 10 seconds. Proof of identity requires you to submit a color scanned identification document. Generally, you can submit either a passport, a national ID or a driving license ID card. The commonly required documents are utility bills, bank account statements, a national ID with an address on it and basically anything that can prove your residential address. Usually, you only need to submit one of any documents mentioned above. Forex brokers are very strict when it comes to this topic. Besides the verification, they also restrict the bonus to new traders only. It makes sense, of course, since that is the purpose of the entire forex bonus. If you have claimed a no deposit bonus before from the same broker, you are not eligible to claim the same type of bonus. Not only that, your close relatives, your housemates who share the same residential address and same IP address are not allowed to sign up for the free bonus. Before you apply for any no deposit bonus, it would be great to know whether your housemate has already done so. After you have claimed the bonus, it is time to trade. Since you are given a free bonus to trade, you are automatically restricted to certain rules and regulations in the trading. This refers to the lot size of an order. Some brokers restrict their traders from opening orders with big lot size. From our observation, the common lot size that is allowed is 0.01 lot. As a trader, trading with small lot size can be disheartening because, at the same time, traders need to fulfill a certain trading volume to be eligible to withdraw profit. It is a strategy of forex brokers to stay active with the brokerage. Ahmad acquired no deposit bonus from broker XYZ. To be eligible for profit withdrawal, Ahmad is required to trade 5 lots. But he is only allowed to open every position with 0.01 lot. How many positions should Ahmad open to fulfill that 5 lots requirement? And the answer is 500 trades! It certainly means Ahmad will be trading for months before he is eligible to withdraw. And that is if he is profiting from that 500 trades. If not, he will need to trade even more than 500 trades in order to be profitable. Conclusion: Lot size limitation makes profit generation harder. To make the trading even more painful, some brokers limit their clients from having a lot of simultaneous active positions. Sometimes the pending orders are also included in the counting of the active positions. Depending on the strategies, the limitation of active positions can harm certain trading technique. If a trader is trading based on the trend following method, then he cannot open more positions at a different price to earn maximum profit. Conclusion: Limitation of active positions can harm the trading experience of the traders. Trading assets or currency pairs are a vital part of forex trading. We can utilize the volatility of the markets to make a profit. Limitation of the trading asset means that we will have fewer currency instruments to choose from. Hence it badly restricts the opportunity to trade when we spot a good entry setup for a particular currency pair. It also limits clients’ experience in trading with different currency pair. The main purpose of no deposit bonus is to allow clients to feel how it is when trading with the broker in live market condition. Conclusion: Restricting trading instruments can only harm the users’ experience in trading. This refers to the lifetime of a no deposit bonus. The bonus will be canceled by the forex brokers when it is expired. A short bonus validity means that clients might not have enough time to truly engage with the account. On the other hand, if given enough time, clients could even have the chance to trade in different market conditions. A good period of testing a live trading account should be 30 days or more. It will give ample time to the clients to fully understand what real trading is all about. After all, no deposit bonus is designed for the new traders to have a taste of how forex trading works. Conclusion: Short bonus validity is not a go. Hedging in forex trading simply means having 2 open trades in different directions. Ahmad opened a buy order for GBP/USD at 1.3000. A few moments later, he opened a sell order at 1.2950. Having an active long position (buy order) and an active short position (sell order) literally means Ahmad is hedging the market. The purpose of hedging usually is to temporarily eliminate the risk being in the market. Since both orders will cancel one another’s profits, it serves as a short-term relief for the trader. Sometimes hedging is used as a part of a certain trading strategy. Restricting hedging would mean that the traders need to look for other trading methods. Conclusion: Without hedging being permitted, traders will have difficulty to trade in both different directions simultaneously. Scalping is a method that traders use to earn a small profit (usually 5-10 pips) multiple times in a day. They also will hold the position for a very short time. Usually, traders use this method during high market volatility such as during the release of economic data and news. It is popular among the traders because it has the potential to catch a lot of pips in the shortest time. Of course, it is also a way to empty the account very fast. For every opened position, you will have to pay some spread cost. It must be used wisely if you do not want to suffer a margin call. Conclusion: Since it is a popular method among traders, limiting the use of it will certainly cause troubles to traders. Basically, what leverage means is that we can use a small amount of money to trade a larger position. Ahmad is given leverage of 1:1000 in his forex account. With merely $100 he is able to open a position of $100,000. This is why it is called leverage. It gives us the flexibility to trade more even though we do not have big capital. Leverage is the reason why Forex is so popular. Limiting leverage can cause a very bad trading experience for the traders. They cannot open a bigger position that they desire. It also lowers down the trading volume, hence it will take a bigger number of trades to fulfill the withdrawal requirement. Conclusion: Limited leverage is a tactic that goes against the traders. Expert advisors trading is also known as robot trading. It simplifies the trading process a lot by doing almost everything in the trading. This includes opening and closing a trade, generating a tradable signal, analyzing market conditions using indicators, etc. There are some really good EAs in the market. Undoubtedly, robot trading is interesting to anyone who does not have prior experience in forex trading. It is handsfree and hassle-free. Once it is set up, EA will handle the trading from the very start. Limiting the usage of EA is like limiting the usage of an elevator – instead of pressing a button to get you to the top of the building, you are asked to walk the stairs. Conclusion: This is downgrading the advancement of forex technology. Hence, it is not a choice if you are an EA lover. One of the most obvious things is that in most cases, you won’t be allowed to withdraw a deposit-free bonus. So what is the point of having it? If you are making a profit from it, you can withdraw the profit. But experiences tell us that it is not that easy to withdraw the profit you made from a free bonus. In order to make your life easier and to serve as a foundation for Penguin Meter, we have come out with an extensive list on the eligibility of profit withdrawal. Trading volume refers to the total amount of lot size that a trader completed. Most of the forex brokers set the trading volume as the parameter whether a trader is eligible for withdrawal. The main reason for doing that is to encourage traders to trade more. The fact is; trading more does not mean you can earn more. Some of the forex brokers even set the trading volume threshold to 100 lots. This scenario is almost like a mission impossible. A moderate trading volume requirement such as 5 lots – is fine. But this also correlates with maximum lot size permitted per trade and the maximum leverage allowed. In example 1, the permitted lot size was 0.01 lot. In this situation, even a trading volume of 5 lots is too much. Conclusion: Higher trading volume requirement is not a good thing for the traders. An active trading day simply means that there is at least one open and closed position for the day. Ahmad opened a position on day 1, but he does not close any position on that day. Instead, he closed it on day 3. What is the active trading day of Ahmad? The answer is only 1 day. It is on day 3 that he had one open position and one closed position. Based on the example above, to achieve an active trading day, we need to close at least one position a day (Of course you cannot close a position without first opening it). This requirement forces the traders to trade more; sometimes out of the compulsion of fulfilling the active day requirement. Conclusion: Traders need to be super active in trading to fulfill the active trading days. It is not a pleasant idea to have. It is initially advertised as no deposit bonus. But when it comes to the profit withdrawal step, you are suddenly required to deposit a certain amount of money to be eligible for the profit withdrawal. This is a common example of what is happening in most cases. The purpose of the forex brokers is very clear. They want you to stay with them and trade with them. As we told you at the beginning of this guide, the main reason for the no deposit bonus is to entice you to trade in the forex market. From our experience, the traders are usually required to deposit an equal amount of profit. Traders then need to trade with the deposit to fulfill a certain amount of trading volume. Ahmad has made $50 in profit from the no deposit bonus. He needs to deposit at least $50 to be eligible for the withdrawal. And for every $1 of the profit, he needs to have 1 lot trading volume. He needs to trade another 50 lots to withdraw the $50. Conclusion: If a no deposit bonus needs a deposit at the end, why is it called no deposit bonus in the first place? After 5 examples, Ahmad is devastated with all the rules and regulations set by the forex brokers. 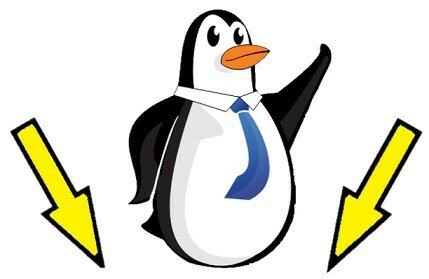 He decided to stick with Forex Penguin and subscribed to the newsletter. He is waiting for Penguin Meter to choose a better no deposit bonus. If you are like Ahmad, please subscribe to our newsletter for more updates. Before trying it out, make sure you pick the right broker to trade with. There are many free bonus forex brokers in the market offering no deposit bonus forex trading. This will bring some confusion when you are trying to make a decision. Remember to check all available brokers online and in your area, and evaluate them individually before you get started. The reputation of a broker depends on traders who have dealt with them in the past. Traders will not hesitate to tell all if they lose money through rogue dealing with a broker. They will leave reviews so that the next person knows what they are dealing with. You can also check offline. People in your circle who had experiences with forex trading will happily share their invaluable insights. They will also recommend their broker to you. A good recommendation from an acquaintance could save you a lot of time and troubles. The reputation of a broker depends on their alignment with the law. You want to work with a broker who has been approved and certified by the right authority. We are sure you don’t want to lose your investments. A regulatory authority assures the economic strength of the broker and its integrity towards its traders. Without regulation, traders are left without any resources to back up the legality of the broker they are using. Some countries have strict rules about forex brokers running forex operations. They already have organizations in place to regulate companies which do business in their countries. Unfortunately, there is no central organization to oversee the forex market. Some notable regulators include US Commodity Futures Trading Commission (CFTC), US National Futures Association (NFA), UK Financial Services Authority (FSA), E.U.’s Markets in Financial Instruments Directive (MiFID), etc. When looking for a broker who offers a no deposit bonus deal, the conditions above will suffice. They need to be certified to carry out business in your country. They should have a good reputation. Think of what you want in a long-term business partner. If the trial period goes well, you will be working with them in the long run. Choosing a good broker is only the first step towards getting into the game. The second part is making a comparison. Different brokers have different trading conditions and deposit bonus amounts. Our portal ForexPenguin.com lists the amount of money given by the various brokers and updates this information on a regular basis. Check it out frequently to help you make the best choice of the day. After that, you can check out the communities of traders to see the latest offers available. This way, you can take full advantage of them. Traders in online forex communities are generous with information. You can even get tips on how to best use a forex bonus. A demo account is widely used to give a rookie the feel of trading with real money. Demo accounts have a fictitious sum of money in them but possess features of a real trading account that you need to build experience. They offer no deposits – just trading experience and insight. A forex no-deposit account does not ask you to deposit any money with your new dealer. Rather, it gives you some money to get started upon registration. The money is not accessible. You need to trade with it a few times as per the requirements of the broker to access the bonus or profit derived from trading with it. They are offered only by 10% of the forex brokers. It is meant to entice newbie traders to register and start trading without the fear of losing any money. It is offered as a specific amount – again at the discretion of the broker – and paid as such. A forex deposit bonus is, as the name suggests – you pay a deposit to trade and the bonus is either offered at the beginning of the trading session or later. The bonus will be a percentage of your deposit. The broker should let you know the percentage at the beginning of trading. If they don’t, make sure you check with them before you start investing. There are many fake forex no deposit bonus websites. Some forex brokers just want to attract more traffic to their website and therefore they give a fake offer. The following tips may help you tell the real no deposit bonus from the scam one. A legit forex website will ensure the security of its users. One of the obvious steps is to have an SSL certificate. It is easy to identify the SSL certificate. Check the URL. A secure site will have HTTPS in the URL instead of HTTP. A good forex broker will have a good and brandable website name. Although it is not necessarily true, we can use it as an indicator of how serious the forex broker is treating its website. Most of the fake no deposit bonus forex sites will have bad and complicated names. The age of the forex broker is also a good determining factor. Most of the scam forex brokers cannot last long. It is a good practice to deal only with the well-established forex brokers. Responsive support from the forex broker is super important to determine whether it is a genuine one. Check out whether a forex broker provides its users with a way to contact them. If there is no way to contact them, then it is probably not a good broker. If the response towards email or live chat is slow, then it is a no-go as well. It is a good practice of forex brokers to have a comment section on their websites. Its purpose is to let their customers leave their testimonials. A legit site will not be afraid to be open and transparent. Some forex brokers might even have their own forums. You can browse the forum to see whether there are complaints and how the staff handle the complaints. A clean record does not mean it is totally safe. Bear in mind that whatever is on the brokers’ website can be easily manipulated by them. Hence we need to check their off-site reviews as well. A third party review site can help us to confirm whether the offers are legit. There are many forex brokers review sites and forums on the internet. A simple search on Google can reveal the skeleton in the closet. Here at Forex Penguin, we allow our users to rate and comment on every bonus which is listed here. You can use our resources to determine whether a no deposit bonus is legit. Social Media can be another good channel to find more information about a forex broker. If the broker is not honest, it will not escape the bad comments of the online community. Now we know a little bit about how to determine a good broker. Common sense plays a big role here. If the forex bonus is too good to be true, then it is not true at all. When the support is lousy, then it is not worthy of trying. If there are alarming comments online yet no representative is handling the issue, then it should be avoided at all costs. With these little tips, hopefully, you can find the right no deposit bonus. Based on the google keyword planner, we have identified 12 top countries which are popular with no deposit bonus forex. We have created a chart below to better illustrate the view of these popular countries. According to the statistics, we believe there is a great need for forex bonuses in the market. Forex brokers should fill in the gap and provide their users with good and fair no deposit bonuses. In case we didn’t make it clear enough, no deposit bonus forex trading is not free money. The broker sets the pace and conditions for you to follow, to be eligible and to participate. They are also looking forward to forging a relationship with you. That is why they encourage your participation by giving you money to help you started. You don’t have to spend a single dime. Think of it as the initial outlay for a venture that you are going to claim only if you successfully launch your business. Thinking about it, your broker is giving you free money but only if you have what it takes to earn it through regular trading and patience. The forex no deposit bonus is not a loan. The profits are all yours if you can earn it through regular successful forex trading. As a newbie, this bonus eliminates your worry of losing money at the beginning of your forex trading venture. It also allows those who have the skills but doesn’t have the capital to give it a shot. The bonus is usually a small amount, but it is enough for small trades, depending on your broker. If the first three or so trades are successful, you will be bold enough to add a little of your own capital. Depending on your broker, the new capital could also qualify for a new deposit bonus. So, there you go, newbie trader! This bonus eliminates the risk associated with forex trading as a beginner. You might as well give it a try. We hope this guide has helped you to better understand not just what forex no deposit bonus is, but also why it’s such an awesome way to get into the market. You literally have nothing to lose – but you might also discover a lucrative and fun new hobby. Of course, getting a grasp on no deposit free bonus opportunities is just one small part of the larger forex world. Do you want to hear about our promotional updates in the forex world, participate in a demo contest, and much more? We post daily forex no deposit bonus from various brokers, so we encourage you to check us out every day for all available offers. Keep checking back with us for the forex bonuses and news you can’t afford to miss. Is this guide helpful? Rate us, please.